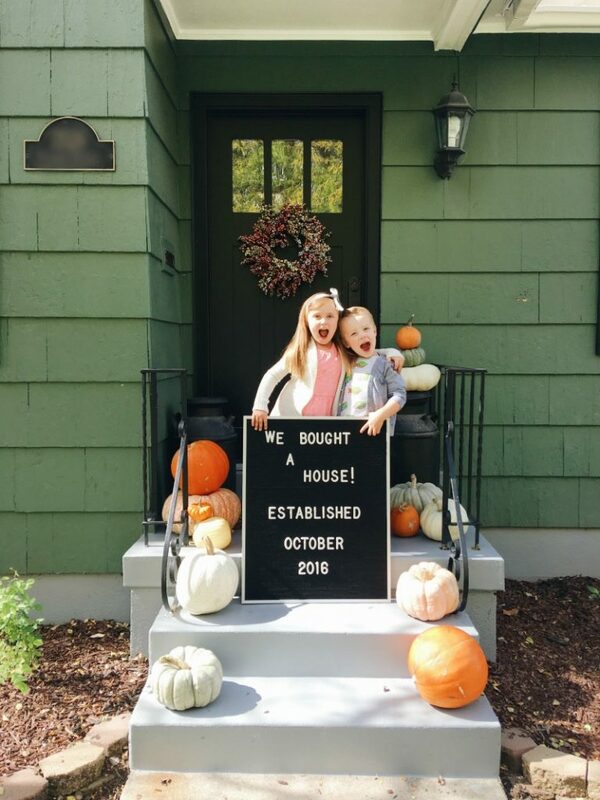 This post is about 2 weeks late BUT guess what?…we bought a house!!! And not just any house, but the house we have been renting for almost 2 years. 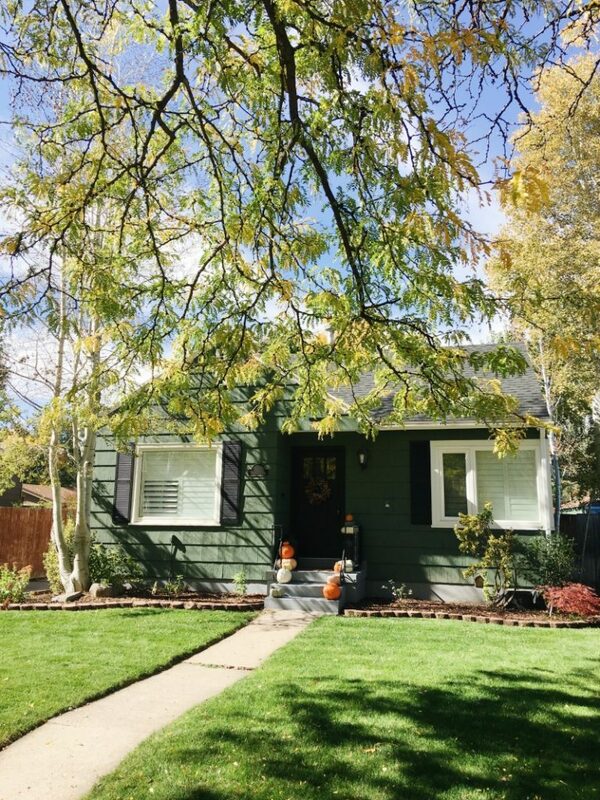 If you can recall, when we moved to Utah, we moved into a “For Sale By Owner” home in Cottonwood Heights that we literally found because of divine intervention AND that divine intervention didn’t stop there. It is the reason why we found this home as well. 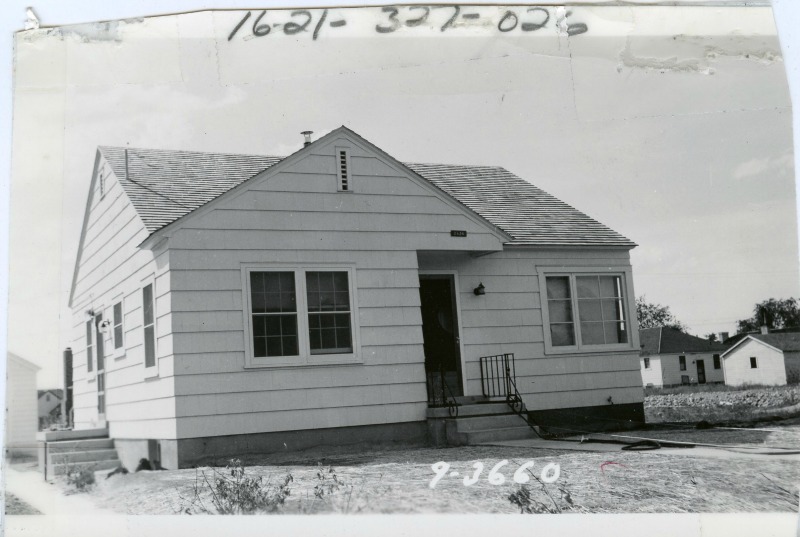 READ THIS POST to check out the how, what, when, where of our old rental! 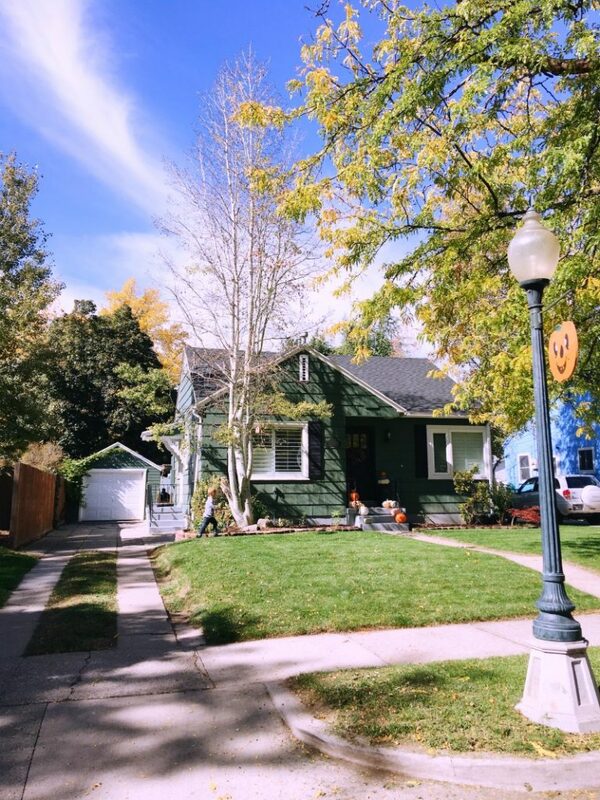 I’ve been searching for the blog post that explains how we stumbled upon this little home and I can’t seem to find it. Is it possible I NEVER WROTE ABOUT IT? How? Did? That? Happen? So let me go back a bit, because I fear if I don’t write this down now, I won’t remember in a few years and that would NOT be okay! 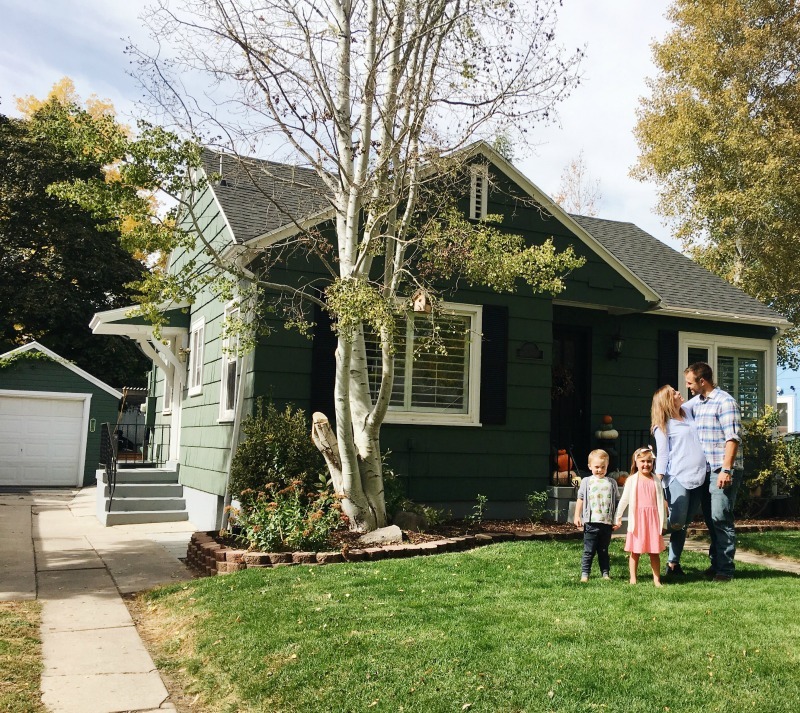 From the second we moved into that home in Cottonwood Heights, I knew it was meant to be, but that didn’t mean it didn’t bring it’s own issues and problems. I will never forget watching ROTO ROOTER fix our toilet while moving in boxes and THEN moving into our kitchen to fix the kitchen sink AFTER they had fixed the toilet…with the SAME TUBE! Yeaaaahhhhh, I ran out to the garage and cried for like 10 minutes until I realized that I needed to get over it and deal with it…so that’s what I did. This little rental home with all it’s problems just happened to be nestled across the street from the Edwards. The Edwards family had 4 kids the same ages as ours and parents that soon become some of our dearest friends. Dare I say, they were put there for us…because that’s what it seemed that at that moment in time. And guess what, it was perfect. As perfect as you can imagine a house being. Too perfect. So follow me on this one, this is where it gets even more crazy. Her sister was renting the house at the time and was suppose to be out of the house 6 months prior. See, her husband had gotten a job out of state with a government agency but his security clearance hadn’t gone through yet! After 6 months of waiting and waiting they still hadn’t heard. They even had another renter in line to come rent the place after they had gone, but due to the security clearance, the other renters had to back out and find another place to rent. So, within the SAME EXACT WEEK of the other renters backing out, we just HAPPENED to go look at this house with Heather. And guess what happened within that same month as well? YEP, their security clearance went through. AND a week later the house was empty. and was ours to rent. When we signed the rental agreement with Heather’s dad, AKA landlord, AKA homeowner, he clearly stated he only wanted to rent to us for a year. “I really want to sell this house soon!” He said. We were grateful for that year and didn’t take it for granted. 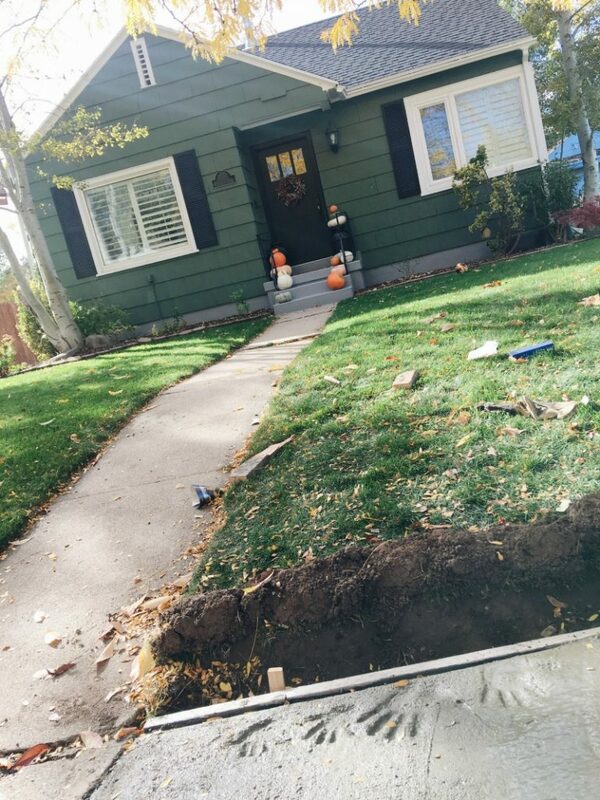 We treated that house like it was our own. We couldn’t help it. We were used to DIYing and FIXER UPPing and making it feel like our own. 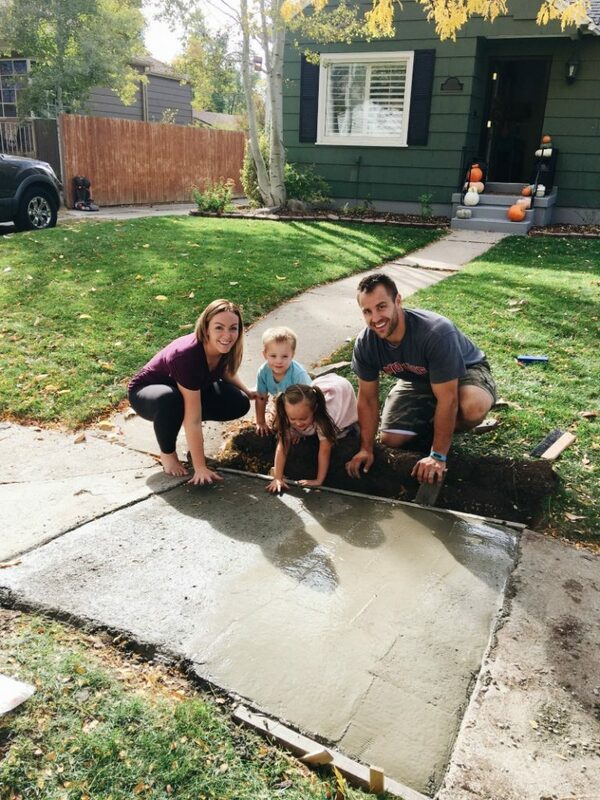 From sprinkler repairs, to a complete backyard overhaul, we loved this little miracle home of ours. When last December rolled closer, Jeff talked to the landlord and found out he wanted to rent it to us for another year. AND I couldn’t be more pleased. I guess he liked what we had done with the place and it was growing on me more and more everyday. Sure, it wasn’t anything too fancy. With only one working shower and our kids sharing a room, it was much different than our home in Idaho. It was a city home. That we felt blessed to have! Throughout this entire rental experience though, I must admit that Jeff and I felt unsettled. I think I used the word “gypsy” a couple times. It was different for us. Coming from Idaho where we felt so settled and I’ll admit, spoiled! 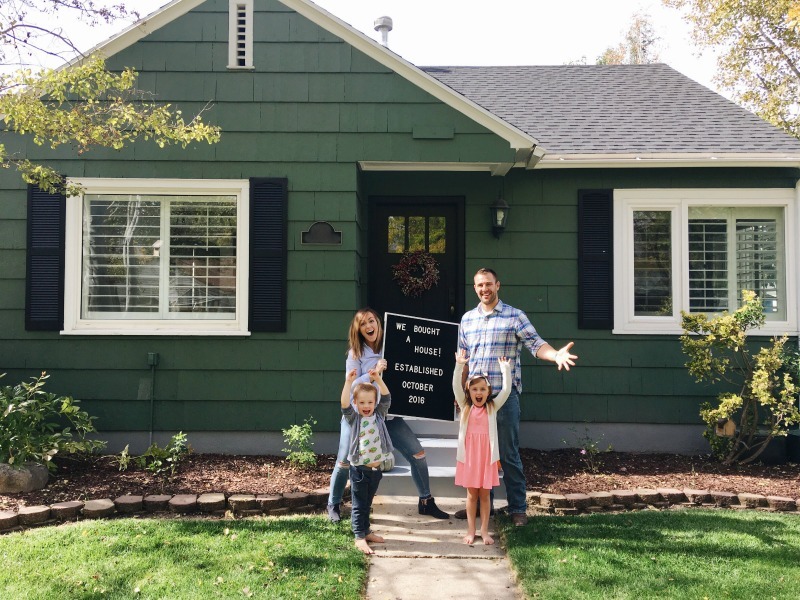 We had a big beautiful, custom-made home that we bought foreclosed and put our heart and soul into fixing up. 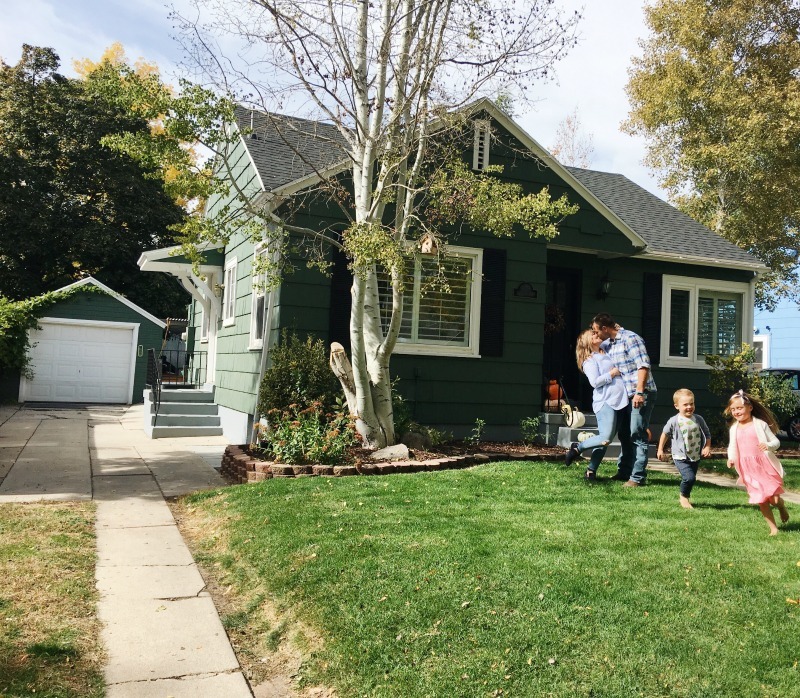 NOW, in SLC with this perfect fixer-upper little home in our hands we felt unsettled and anxious that we were unable to fix this little things needed. I just wanted to paint some walls, for the love. 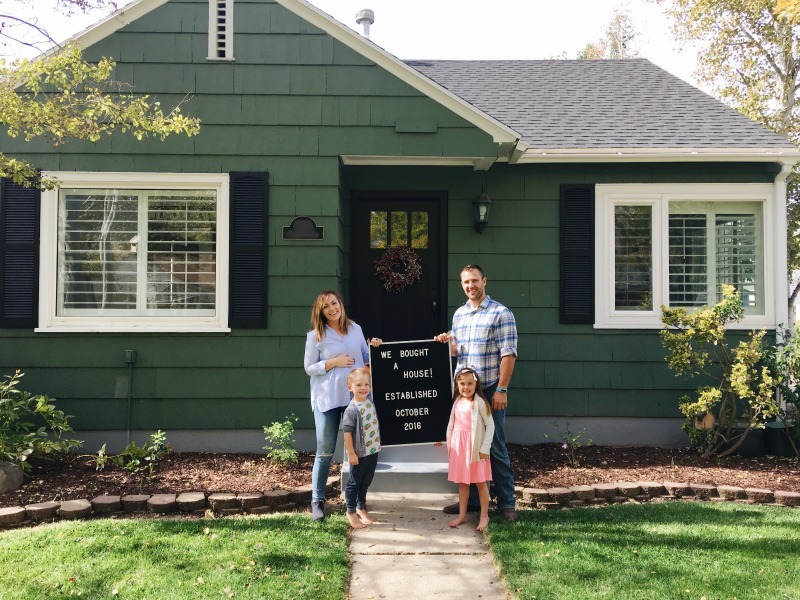 We constantly searched and searched for other home options. To buy, or rent, or something. 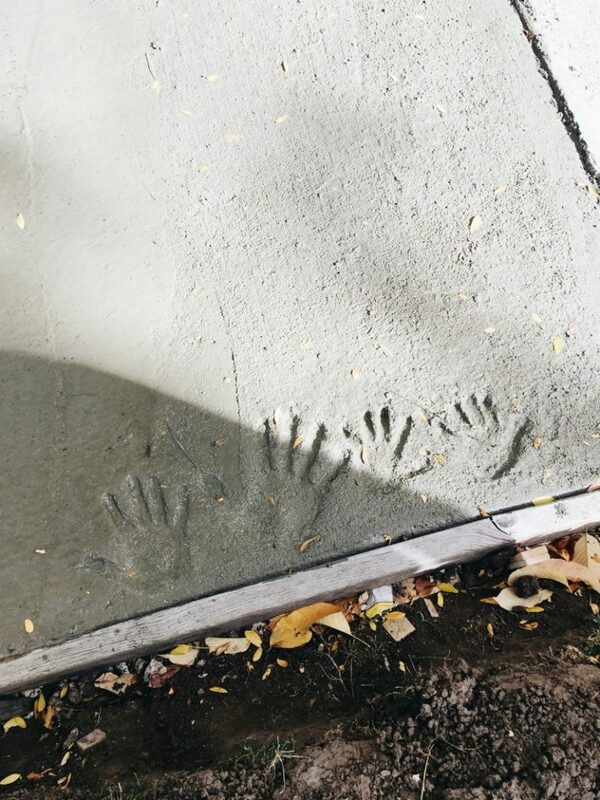 We didn’t for ONE SECOND think to look under our feet. That the answer would be right where we were. Where we weren’t looking. But one thing that was certain, we could never find a place. Every Sunday drive, every home search, or possible change ended up not being a possibility at all. Was it even possible? Surely not! We had done the calculations over and over and we simply couldn’t afford to buy in this area. After praying, soul searching, and a lot of talk. We decided to text him back, telling him we were sooo interested BUT only if he would or could sell it to us for a certain price. AKA the only price we could afford. We didn’t hear back from him for about a month. We had in someways forgotten about it and hoped that he would simply continue to rent it to us. THAT particular price, was within the range of what we could afford. SO, we took the leap of faith and did it. 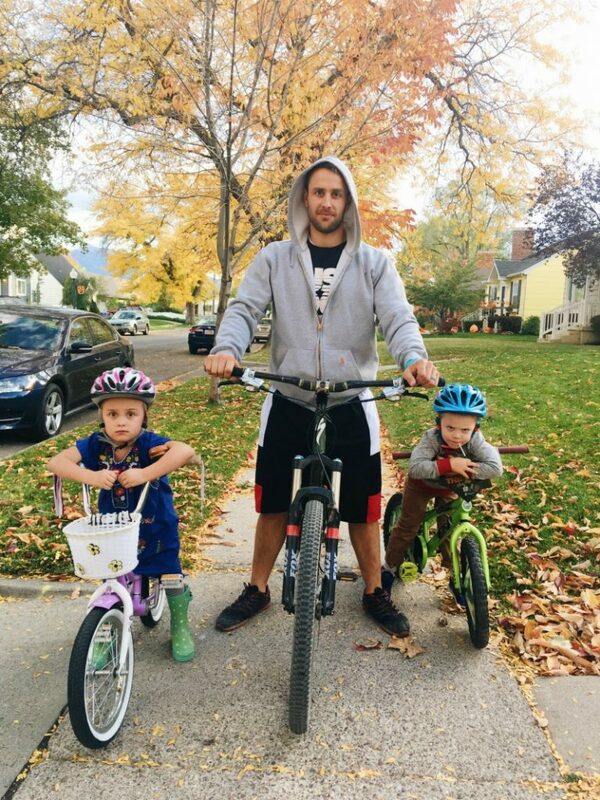 We bought the little green home, in Sugarhouse, UT. On the lamp-lined, tree-filled street. With the most quintessiential scene you could possible imagine. Built in 1939 (see original photo above) with all it’s flaws and newspaper filled insulation. It couldn’t be more perfect for us! We feel lucky, blessed, and completely in the exact place we are suppose to be. What does this mean for Simply Sadie Jane? OHHHH man, get ready for the DIY home posts coming back with vengeance! Oh, and a VLOG video tour of the home as it is RIGHT NOW. I can’t wait to show you all OUR HOME and all the fun potential it has. Stay tuned dudes, stay tuned! « PREGNANCY SAFE WORKOUT FOR ALL HUMANS!